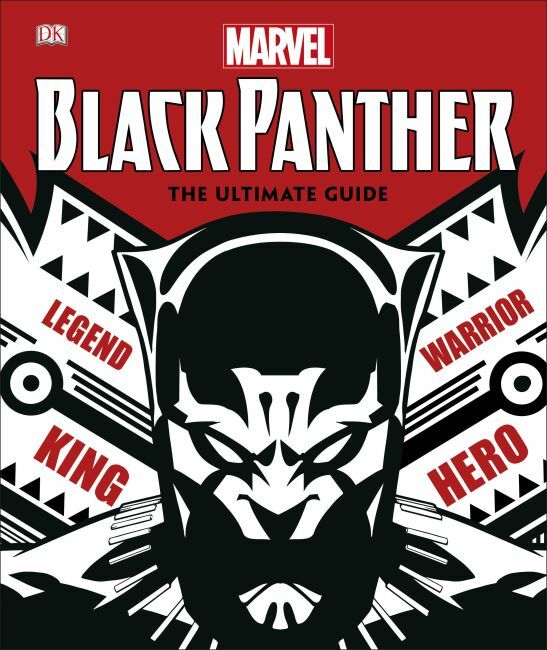 "A handsome hardback primer for anyone wanting some Wakanda 101 before seeing the movie." "Provides a colourful primer on the Marvel hero." "These kinds of books are great for newcomers as they give one a flavour of the character, as well as understanding their place in the grand scheme of Marvel's history." "A potted history of Black Panther's exploits, including major storylines and characters, illustrated with art from the original comics and given a foreword by Marvel scribe Don McGregor." "Like all the DK Marvel books, the attention to detail in this book is excellent." "If you need to know more about Black Panther - this is the book for you. Its jam packed with facts and brilliant images." DK's Marvel Black Panther: The Ultimate Guide explores the fascinating world of the warrior, monarch, scientist and superhero known as Black Panther. This comprehensive book showcases stunning Black Panther comic artwork and examines iconic characters, from T'Challa and Storm to Ulysses Klaw, as well as key issues and story lines. Packed with information on allies, enemies, locations and much more, this book is a must-have for fans of Black Panther comics, Marvel Comics and movies and the Avengers.